The Phantom® T5 Defender is one of the next generation of proven, reliable underwater robotics pioneered by Deep Ocean Engineering in its manufacture of remotely operated vehicles (ROVs), built in the USA for nearly four decades. The design of its four vectored horizontal and one vertical Tecnadyne® thrusters provides significant control and propulsion in current to maneuver efficiently in all directions. It is equipped with an electrically-initiated, patent-pending Disrupter used to break up underwater obstructions. 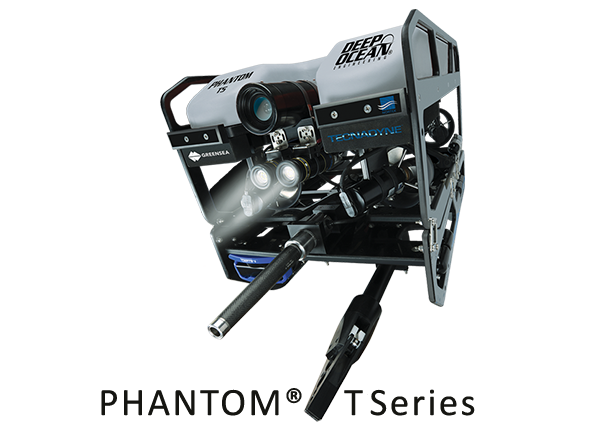 The Phantom® T5 Defender is one of the next generation of proven, reliable underwater robotics pioneered by Deep Ocean Engineering in its manufacture of remotely operated vehicles (ROV), built in the USA for nearly four decades.